DICE has once again released another update for Battlefield 4 on the PS3 and PS4 to address some stability issues and in-game game balancing tweaks. Just last week, we reported that DICE was preparing a Battlefield 4 patch that was set to be released on multiple platforms. That update is now live on PC, PlayStation 3 and PS4 and includes fixes for improving general stability, normalizing repair rates across all vehicles, adding a 20% increase to Stealth Jets' 20mm cannons and a few more. Listed below are the complete patch notes for both the PS3 and PS4 versions. 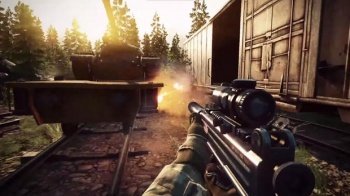 Battlefield 4 PS3 and PS4 players should be able to download the file now. If it hasn't prompted you to download it, restart the game to initiate the download and install the update. In other BF4 news, it's been revealed that the game's first expansion -- China Rising -- originally had Levolution elements before it got taken out for unknown reasons. As someone who hasn't experienced a crash in the PS4 version for quite some time now, what should DICE prioritize in its next title update?